The city’s Landmarks Preservation Com­mission gave developers the green light last month to make Tribeca’s landmark clock tower at 346 Broadway part of a penthouse apartment and hand over its rare 1897 clockworks to the future buyer. The 6-1 decision has some preservationists seething and talking of legal recourse. The clock is said to be one of only two or three of its kind in the country that still runs as it has for more than 100 years. 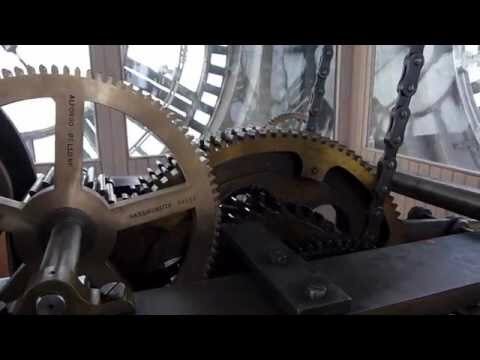 The commission’s approval came with the promise by the developers, Peebles Corp. and the El Ad Group, to keep the four-faced clock running—but they probably would disable the elaborate collection of gears, drive shafts and weights that are the trademark of its ingenious 19th-century technology. “Our in­tention is to electrify the clock function so that it continues to provide the correct time to the general public, which it always has,” said John Beyer of Beyer Blinder Belle, the lead architect on the project. The penthouse is part of the developers’ extensive restoration and condomin­ium conversion plans for the landmark building purchased from the city. Despite the numerous and much-lauded restoration intentions of the developers, it was the fate of the clock that occupied most of the hearing’s more than hour-long discussion, as it did at a first hearing in November. The transformation of the clock tower and other protected spaces in 346 Broadway (also known as 108 Leonard Street) into private apartments is unprecedented in the city, and at the November hearing the commissioners voiced concerns about the clock being inaccessible to all but the penthouse owner. Beyer returned this month to argue that the mechanism had never been accessible and “legally, practically and from a safety point of view” it shouldn’t be. 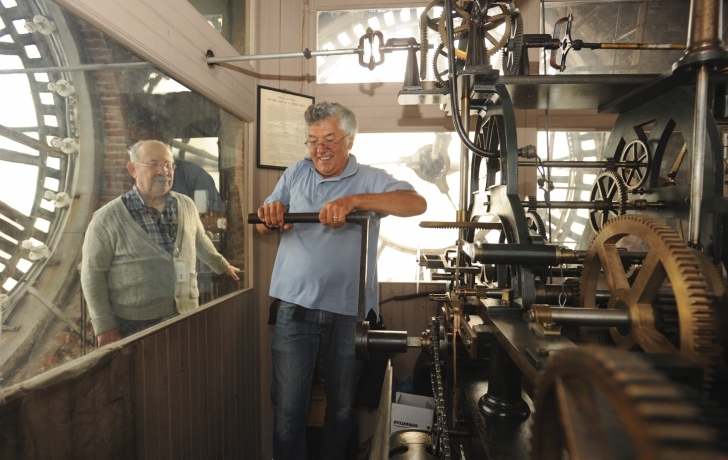 “The public has been going up there for the last 30 years,” he said, noting that the clock was accessible from the Clock­tower Gallery, which had occupied the building since 1972 and closed last year. “I’ve been giving tours,” added Markowitz. “I’m appalled. This is ridiculous,” Simeon Bankoff, president of the Historic Districts Council, said of the decision. He called it a “de facto reversal” of the designation of the clock and clock tower as historic city landmarks. “When the city sold the building it was with the thought that the clock would be protected,” Bankoff said. Michael Hiller, a lawyer representing the Historic Districts Council and the So­ciety for the Architecture of the City, sent letters to LPC Chairwoman Meenakshi Srinivasan explaining, in a lengthy legal opinion, why it is the commission’s right and duty to prevent the sale of the landmarked clock rooms and works. “The developers purchased the Clock Tower Building well aware that it is subject to restrictions which they now seek to avoid,” he wrote. Many of the commissioners, including Srinivasan, seemed swayed by the LPC’s legal counsel, Mark Silberman, who advised them that they cannot force the developer to continue operating the clock mechanically. “I don’t see any basis in the law to re­quire that it be continually used as it has been used in the past,” Silberman said. Beyer acknowledged that he did not know what alterations would need to be made to the clock in order to electrify it, but he said he would return to the commission or its staff for those approvals. But the majority of commissioners said the developers’ plans for the clock were a worthy tradeoff. Against a wave of agreement by her fellow commissioners over the developers’ plans for the clock, Adi Shamir-Baron, newly appointed to the body, was resolute. “What exactly is the reason for electrifying the clock?” she asked Beyer. “I cannot get my head around the clock tower issue,” she persisted, noting that in her visit to the site she determined that access to the clock for maintenance and winding would be possible on behalf of all the building’s residents if the tower were not turned into a penthouse. “We’re going to not allow it to be manually wound so that it can be privately owned even though its designation is based on its public good?” said Sha­mir-Baron, who cast the lone opposing vote, saying she could support every oth­er part of the developers’ plans—except those for the clock and its tower. The next day the Trib received an email from Marvin Schneider, who restored the historic timepiece 30 years ago and has been caring for it ever since.